"Oh, Dakuwaqa!" 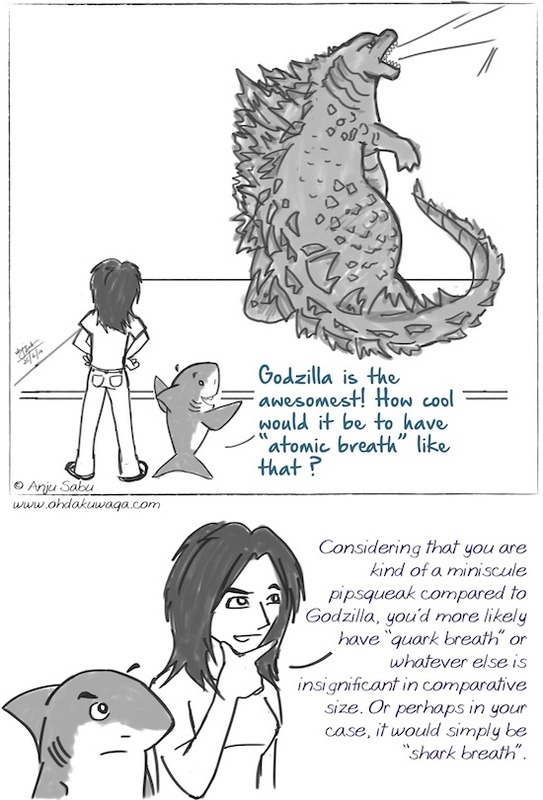 - The Shark comics and cartoons: Sharkzilla and its not-so-powerful shark breath. 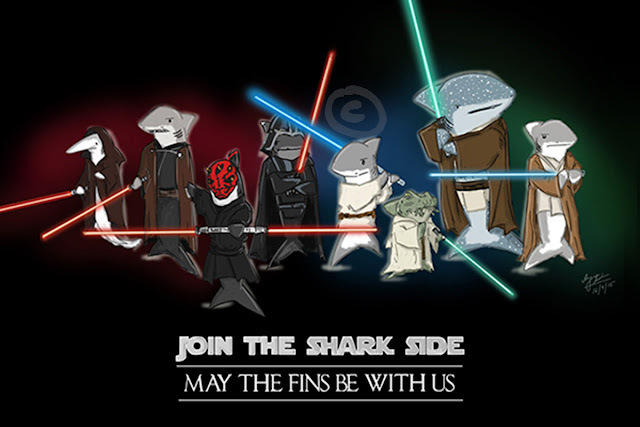 Sharkzilla and its not-so-powerful shark breath. I love the new "Godzilla" movie. My only criticism is that they didn't have enough Godzilla action/footage and as always it was about the humans. But all of the dull, slow bits were worth sitting through the moment Godzilla used his atomic breath. It was very exciting. I also seem to be curious about quarks. Probably because when I was in school, we didn't learn about them. It seems that just as much we seem to discover with telescopes, there would be just as much to discover with microscopes. Just as exciting!